Update: this offer has now expired. 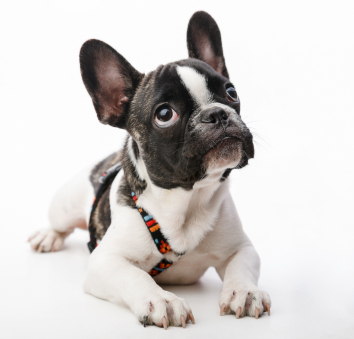 Why not check out our list of the top 10 pet insurance policies. Bought by Many today announces a new partnership with John Lewis on pet insurance for Yorkshire Terrier, Golden Retriever, Hungarian Vizsla, Cavalier King Charles Spaniel, English Springer Spaniel or Labradoodle and pure breed cats. By using the collective power you share with other pet owners, you can get a £15 John Lewis voucher* with your John Lewis pet insurance. This is an exclusive deal negotiated for Bought by Many members and you won’t find it anywhere else! Why an offer on pet insurance? The majority of Brits either haven't got round to taking out cover or have decided not to bother – it's estimated almost half of the nation's dogs, and well over two-thirds of Britain's cats, are uninsured. The primary reason seems to be the fact that they don’t see the value of insurance. In fact, pet insurance is primarily designed to cover the cost of medical bills for the treatment of illness and injury and vets’ fees are going up in price as expensive new treatments are becoming available (if you want to learn more, feel free to read the article on Pet Insurance Costs).The average vet bill is now £650 but vet costs can up to thousands if your pet develops an on-going condition (source: Association of British Insurers, 2013). But exactly because of that, pet insurance is just very expensive and the prices are increasing day after day. UK pet owners spend on average £28 a month on pet insurance for their dog and £13 for cat cover, according to financial research company Defaqto. So pet insurance becomes a requirement if you want to get a pet but entering into a policy agreement is not an easy decision to make. There is a lot of confusion around the options available and it’s difficult to compare different offerings. John Lewis operates 43 John Lewis shops across the UK as well as johnlewis.com. It is part of the John Lewis Partnership, the UK's largest example of worker co-ownership where all 30,000 staff are Partners in the business. John Lewis Insurance offers a range of comprehensive insurance products - home, car, wedding and event, travel and pet insurance and life cover - delivering the values of expertise, trust and customer service expected from the John Lewis brand. John Lewis Insurance offers Long Term Cover for your pet. If you're insured with John Lewis and your premiums are paid, you could claim for a one off mis-hap such as a cut paw or an illness such as diabetes which needs treatment every year, or both. If your policy is renewed every year John Lewis won't put a time limit on how long the treatment can last and will pay up to your chosen vet fee limit each year that you need it. Some other Insurers limit you to a year of treatment for a condition. To learn more about John Lewis Pet Insurance and how it compares to other providers, please read our John Lewis Pet Insurance Review. It’s thanks to the collective power of all the pet owners who have joined Bought by Many that we have been able to negotiate such an exclusive deal with John Lewis. Join them and you can take advantage of the deal as well - £15 John Lewis voucher when you buy your John Lewis pet insurance!